We supply metal and aluminium-foils, strips and sheets, as well as multilayer foils with aluminium, plastic films and paper. Our materials are used in a wide range of industries and applications, mainly by converters and manufacturers of technical products. Our foils and strips are used to produce packaging material for food and beverages, including chocolate and dairies as well as pharmaceuticals. 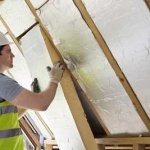 Europe’s leading insulation brands trust Alfipa products. Achieving A-grade wettability (e.g. according to DIN EN 546-4), our materials are well suited for lacquering, printing and laminations, such as glue lamination, PE lamination and wax/hotmelt lamination. Europe’s leading insulation brands trust Alfipa Aluminium and laminations. Our foils and strips are used as facings for laminations with insulation material, such as rock wool, glass scrims, plastic scrims and tissues. This creates high-performance insulation products used for sound absorption, heat insulation and low-temperature insulation. Our foils are also used for coating with bitumen and with foam insulation panels such as PUR foam and PIR foam. This way, you will likely find some Alfipa Aluminium in your favorite hardware store just around the corner. 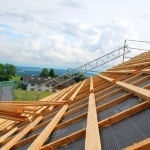 Facings for insulation materials have become one of our core competencies, and we have in-depth knowledge what materials and treatments are needed to achieve the desired result for numerous applications in various environmental settings. Train wagon with aluminium floor panels by Alfipa. Been to Paris? Chances are you have been walking on Alfipa Aluminium. Our Aluminium sheets are used to build the flooring of subway wagons in the French capital. Next time you take the Metro, remember you are walking on Alfipa Aluminium! Our Aluminium is also used in the production process for ultra-light cabin fittings for the world’s largest passenger aircrafts (as well as in other, lightweight furniture). For this application, it is mandatory that the Aluminium surface is absolutely oil-free to enable ultra-strong adhesion characteristics. We ensure this by employing a special production process and specialized surface treatments. Do you remember the media hype and fear that the whole world would collapse when the world’s largest particle accelerator starting operating near Geneva, creating antimatter right here on earth? We surely didn’t worry – because we knew nothing could go wrong with Alfipa Aluminium! And by the way, did we mention some Alfipa Aluminium even made it to outer space? More down to earth, our Aluminium is also used as a lightweight insulator in state-of-the-art centrifuges. Among others, such centrifuges are used for the production of petroleum gas. 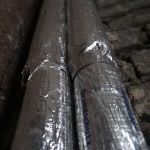 Our Alu-PE laminations are also used to seal water pipes and cable tubes. The PE film not only prevents water and cement from entering the tubes, it also allows to easily sever the protective layer from the tube when needed. The list above is just a small excerpt of applications and industries where our products are used today. 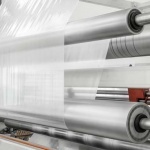 We supply various other industries with Aluminium, Copper, Stainless Steel, Plastic Films and Paper, and it is likely we also have customers in your industry. Find out how we can help you – contact us! 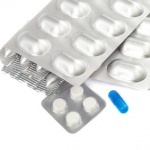 High-quality medicines need packaging in which they are safely protected from environmental influences , oxygen and moisture . It is only in this way that the ingredients retain their effects which they are to develop when ingested. Metallized PET film: What can PET met be used for? A large amount of the heat, up to 93%, is transmitted by radiation. A house without insulation loses this radiant heat . Insulation materials made solely from glass fibers or cellulose cannot stop radiation losses.